North Rhine-Westphalia (German: Nordrhein-Westfalen, [ˈnɔʁtʁaɪ̯n vɛstˈfaːlən], commonly shortened to NRW) is the most populous state of Germany, with a population of approximately 18 million, and the fourth largest by area. Its capital is Düsseldorf; the largest city is Cologne. Four of Germany's ten largest cities—Cologne, Düsseldorf, Dortmund, and Essen—are located within the state, as well as the second largest metropolitan area on the European continent, Rhine-Ruhr. 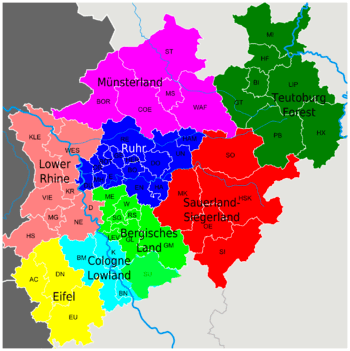 North Rhine-Westphalia was formed in 1946 as a merger of the provinces of North Rhine and Westphalia, both formerly parts of Prussia, and the Free State of Lippe. It makes up almost a quarter of the population and a quarter of the economy of Germany. As the power of the Roman empire declined many of these tribes came to be seen collectively as Ripuarian Franks and they pushed forward along both banks of the Rhine, and by the end of the 5th century had conquered all the lands that had formerly been under Roman influence. By the 8th century the Frankish dominion was firmly established in western Germany and northern Gaul. But at the same time, to the north, Westphalia was being taken over by Saxons pushing south. The Merovingian and Carolingian Franks eventually built an empire which controlled first their Ripuarian kin, and then also the Saxons. On the division of the Carolingian Empire at the Treaty of Verdun the part of the province to the east of the river fell to East Francia, while that to the west remained with the kingdom of Lotharingia. By the time of Otto I (d. 973) both banks of the Rhine had become part of the Holy Roman Empire, and the Rhenish territory was divided between the duchies of Upper Lorraine, on the Moselle, and Lower Lorraine on the Meuse. The Ottonian dynasty had both Saxon and Frankish ancestry. As the central power of the Holy Roman Emperor weakened, the Rhineland split into numerous small independent principalities, each with its separate vicissitudes and special chronicles. The old Lotharingian divisions became obsolete, although the name survives for example in Lorraine in France, and throughout the Middle Ages and even into modern times the nobility of these areas often sought to preserve the idea of a preeminent Duke within Lotharingia, something claimed by the Dukes of Limburg, and the Dukes of Brabant. Such struggles as the War of the Limburg Succession therefore continued to create military and political links between what is now Rhineland-Westphalia, and neighbouring Belgium and the Netherlands. 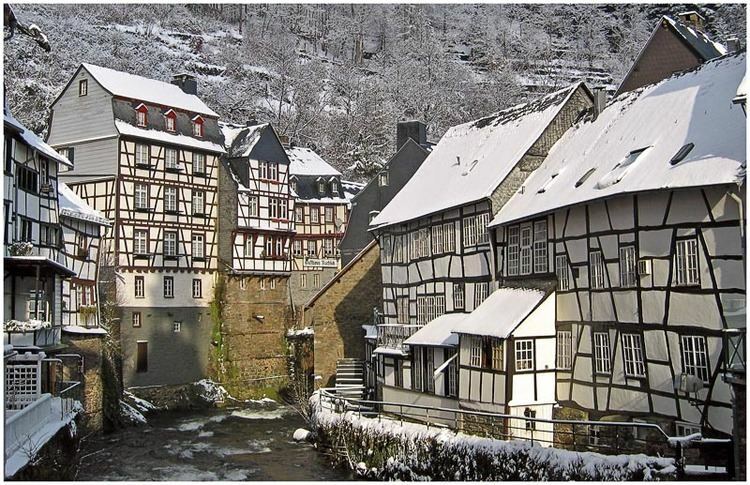 In spite of its dismembered condition, and the sufferings it underwent at the hands of its French neighbours in various periods of warfare, the Rhenish territory prospered greatly and stood in the foremost rank of German culture and progress. Aachen was the place of coronation of the German emperors, and the ecclesiastical principalities of the Rhine bulked largely in German history. Prussia first set foot on the Rhine in 1609 by the occupation of the Duchy of Cleves and about a century later Upper Guelders and Moers also became Prussian. At the peace of Basel in 1795 the whole of the left bank of the Rhine was resigned to France, and in 1806 the Rhenish princes all joined the Confederation of the Rhine. After the Congress of Vienna, Prussia was awarded with the entire Rhineland, which included the Grand Duchy of Berg, the ecclesiastic electorates of Trier and Cologne, the free cities of Aachen and Cologne, and nearly a hundred small lordships and abbeys. The Prussian Rhine province was formed in 1822 and Prussia had the tact to leave them in undisturbed possession of the liberal institutions they had become accustomed to under the republican rule of the French. In 1920, the districts of Eupen and Malmedy were transferred to Belgium (see German-speaking Community of Belgium). Around AD 1 there were numerous incursions through Westphalia and perhaps even some permanent Roman or Romanized settlements. The Battle of Teutoburg Forest took place near Osnabrück (as mentioned, it is disputed whether this is in Westphalia) and some of the Germanic tribes who fought at this battle came from the area of Westphalia. Charlemagne is thought to have spent considerable time in Paderborn and nearby parts. His Saxon Wars also partly took place in what is thought of as Westphalia today. Popular legends link his adversary Widukind to places near Detmold, Bielefeld, Lemgo, Osnabrück and other places in Westphalia. Widukind was buried in Enger, which is also a subject of a legend. Along with Eastphalia and Engern, Westphalia (Westfalahi) was originally a district of the Duchy of Saxony. In 1180 Westphalia was elevated to the rank of a duchy by Emperor Barbarossa. The Duchy of Westphalia comprised only a small area south of the Lippe River. North Rhine-Westphalia encompasses the plains of the Lower Rhine region and parts of the Central Uplands (die Mittelgebirge) up to the gorge of Porta Westfalica. The state covers an area of 34,083 km2 (13,160 sq mi) and shares borders with Belgium in the southwest and the Netherlands in the west and northwest. It has borders with the German states of Lower Saxony to the north and northeast, Rhineland-Palatinate to the south and Hesse to the southeast. The terrain rises towards the south and in the east of the state into parts of Germany's Central Uplands. These hill ranges are the Weser Uplands - including the Egge Hills, the Wiehen Hills, the Wesergebirge and the Teutoburg Forest in the east, the Sauerland, the Bergisches Land, the Siegerland and the Siebengebirge in the south, as well as the left-Rhenish Eifel in the southwest of the state. The Rothaargebirge in the border region with Hesse rises to height of about 800 m above sea level. The highest of these mountains are the Langenberg, at 843.2 m above sea level, the Kahler Asten (840.7 m) and the Clemensberg (839.2 m). The planimetrically-determined centre of North Rhine-Westphalia is located in the south of Dortmund-Aplerbeck in the Aplerbecker Mark (51° 28' N, 7° 33' Ö). Its westernmost point is situated near Selfkant close to the Dutch border, the easternmost near Höxter on the Weser. The southernmost point lies near Hellenthal in the Eifel region. The northernmost point is the NRW-Nordpunkt near Rahden in the northeast of the state. The Nordpunkt is located only 100 km to the south of the North Sea coast. The deepest natural dip is arranged in the district Zyfflich in the city of Kranenburg with 9.2 m above sea level in the northwest of the state. Though, the deepest point overground results from mining. The open-pit Hambach reaches at Niederzier a deep of 293 m below sea level. At the same time, this is the deepest man-made dip in Germany. The state consists of five government regions (Regierungsbezirke), divided into 31 districts (Kreise) and 23 urban districts (kreisfreie Städte). In total, North Rhine-Westphalia has 396 municipalities (1997), including the urban districts, which are municipalities by themselves. The government regions have an assembly elected by the districts and municipalities, while the Landschaftsverband have a directly elected assembly. According to studies of the Ruhr University Bochum 42.24% of the North Rhine-Westphalian population adheres to the Roman Catholic Church, 28.35% are members of the Evangelical Church in Germany, 23.76% are unaffiliated, non-religious or atheists, 2.78% are Muslims, 0.49% are adherents of the Eastern Orthodox Church, 1.05% are members of smaller Christian groups (half of them the New Apostolic Church), 1.0% are adherents of new religions or esoteric groups, 0.2% are adherents of Indian religions, and 0.17% are Jews. The politics of North Rhine-Westphalia takes place within a framework of a federal parliamentary representative democratic republic. The two main parties, as on the federal level, the centre-right Christian Democratic Union and the centre-left Social Democratic Party. From 1966 to 2005, North Rhine-Westphalia was continuously governed by the Social Democrats or SPD-led governments. 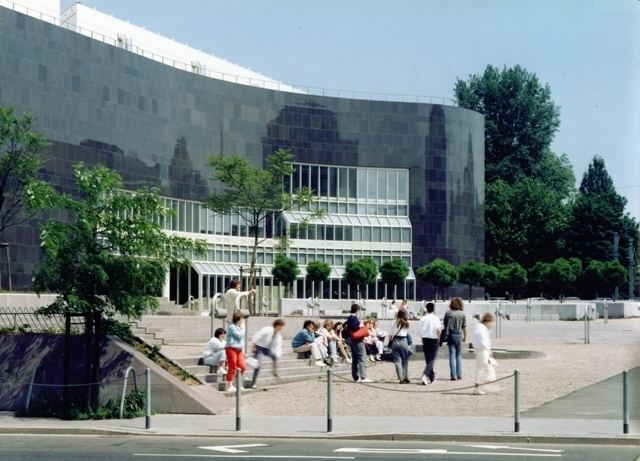 The Landtag, the parliamentary parties and groups consisting of at least 7 members of parliament have the right to table legal proposals to the Landtag for deliberation. The law that are passed by the Landtag is delivered to the Minister-President, who, together with the ministers involved, is required to sign it and announce it in the Law and Ordinance Gazette. According to legend the horse in the Westphalian coat of arms is the horse that the Saxon leader Widukind rode after his baptism. Other theories attribute the horse to Henry the Lion. Some connect it with the Germanic rulers Hengist and Horsa. The state is not known for its castles like other regions in Germany. 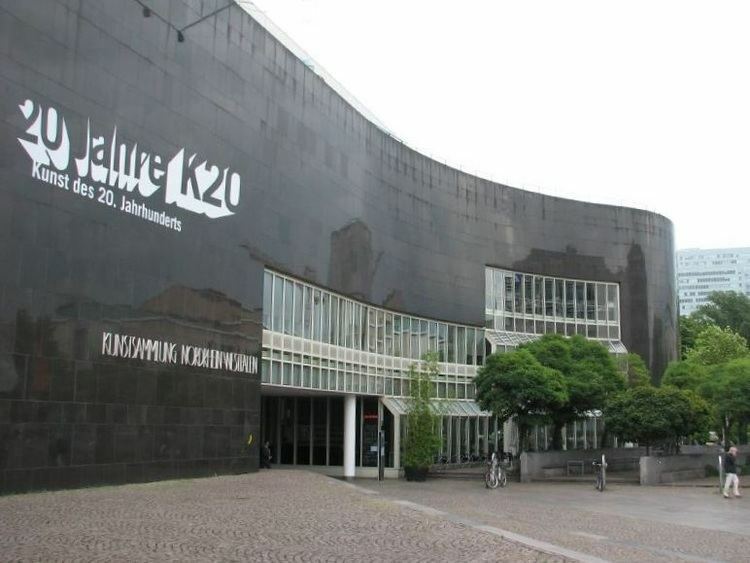 However, North Rhine-Westphalia has a high concentration of museums, cultural centres, concert halls and theatres. The state has Aachen Cathedral, the Cologne Cathedral, the Zeche Zollverein in Essen and Augustusburg Palace in Brühl which are all World Heritage Sites. In the 1950s and 1960s, Westphalia was known as Land von Kohle und Stahl or the land of coal and steel. In the post-World War II recovery, the Ruhr was one of the most important industrial regions in Europe, and contributed to the German Wirtschaftswunder. As of the late 1960s, repeated crises led to contractions of these industrial branches. On the other hand, producing sectors, particularly in mechanical engineering and metal and iron working industry, experienced substantial growth. 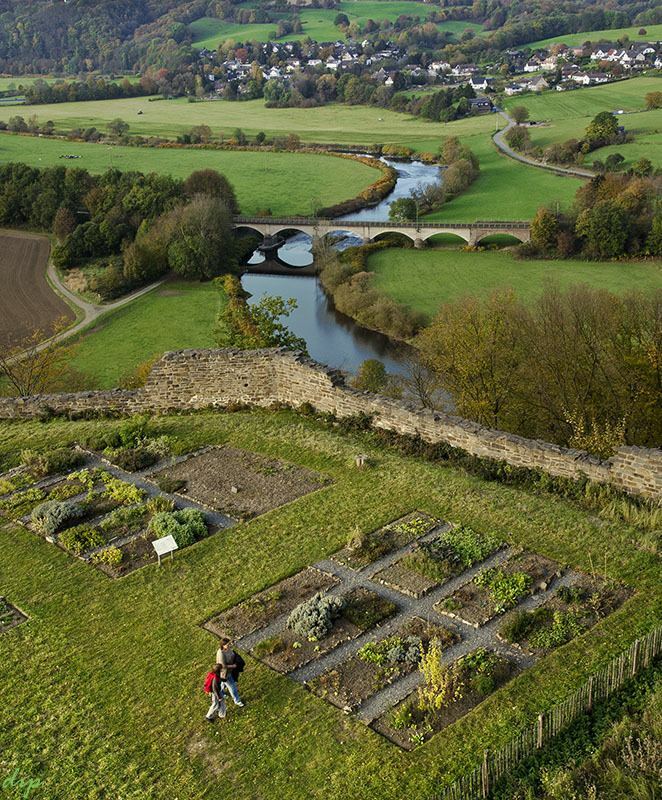 Despite this structural change and an economic growth which was under national average, the 2007 GDP of 529.4 billion euro (21.8 percent of the total German GDP) made the land the economically most important in Germany, as well as one of the most important economical areas in the world. Of Germany’s top 100 corporations, 37 are based in North Rhine-Westphalia. On a per capita base, however, North Rhine-Westphalia remains one of the weaker among the Western German states. As of June 2014, the unemployment rate is 8.2%, second highest among all western German states. Borussia Dortmund and FC Schalke 04 are the most successful teams in the state, with Dortmund winning 8 German Titles and Schalke winning 7. Borussia Mönchengladbach have won 5 titles, while 1. FC Köln have won it 3 times. Fortuna Düsseldorf and Rot-Weiß Essen have each been German Champions once. North Rhine-Westphalia has been a very successful footballing state having a combined total of 25 championships, fewer only than Bavaria. North Rhine-Westphalia have hosted several matches in the 1974 and 2006 FIFA World Cups and hosted matches in the 2011 FIFA Women's World Cup. In 1974 the matches were played at Rheinstadion in Düsseldorf, Parkstadion in Gelsenkirchen and Westfalenstadion in Dortmund, in 2006 they were played at RheinEnergieStadion in Cologne, Arena Auf Schalke in Gelsenkichen and Signal Iduna Park in Dortmund. Borussia-Park in Mönchengladbach, BayArena in Leverkusen and Ruhrstadion in Bochum hosted matches for the 2011 FIFA Women's World Cup. North Rhine-Westphalia is home to DEL teams Düsseldorfer EG, Kölner Haie (Cologne Sharks), Krefeld Pinguine (Krefeld Penguins) and Iserlohn Roosters.